The brand new Penn Clash Fixed Spool Reel has just about everything you’d expect from a huge brand such as Penn in fixed spool range. The gear train on the Penn Clash Reel is ran off Penn’s new Dura-Gear feature which will offer a more solid and durable long lasting gear. The Penn Clash Fixed Spool Reel is perfect for spinning, and is predicted to be one of Penn’s best selling in their new reel range for 2016. The Penn Clash also has many other features which are appealing to many anglers. 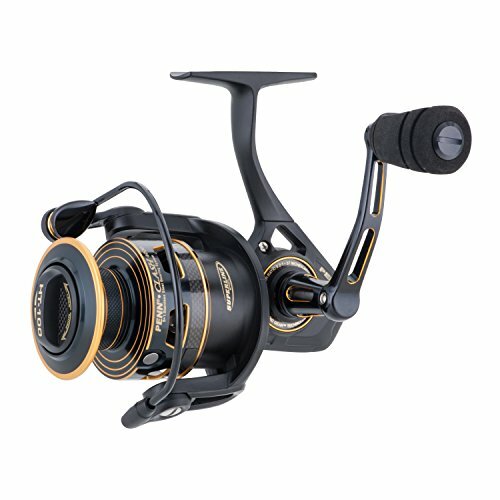 This reel has a braid ready spool, and comes with line capacity rings. and includes a slow oscillation system.